. When that didn't work, many commented that instead of burning money on ads, I should just send YouTubers free samples instead. I had already done this before with some YouTubers. One unboxing video ended up getting millions of views, but didn't result in any sales. I still believed that if I just tried different approaches, eventually something would work. Here's what my thinking was for the current experiment. Huge channels may occasionally agree to feature Candy Japan, but it will be a bumpy ride with a small number of videos, some not working out at all. Doubling down on the ones that do work (if they exist) would be hard, as there are only so many big yet relevant YouTube channels out there. On the other hand there are probably thousands (hundreds of thousands?) of channels out there in the 1-10k subscriber range. If each just brought in two customers on average, there are so many of them out there that scaling would be straightforward. I would get a stream of sweet sweet data to analyze, enabling me to improve the approach over time. Since I had no idea if this would work, I wanted to start small, but still big enough to learn something. I decided 180 would be a decent number of channels to contact. I could at the least get a good idea of the response rate, and maybe even run a split test. I wanted to pick a category where I could easily find a lot of related channels, and one that might have an audience interested in Japan. I decided to go for cosplayers. I found websites where cosplayers were uploading their costume photos, and many users linked to their YouTube channels from their profiles. I wrote a quick Python script to find more of them and entered them into a spreadsheet. I manually visited each channel to make sure I knew how to address the YouTuber properly by their name or the name of their team, and also to find out how to contact them. Finding contact information turned out to be quite time-consuming, as someone might only link to Tumblr from their channel, then Tumblr would link to their DeviantArt page, which might then finally have their contact information. At first each channel took me close to 10 minutes to go through, but after doing about a hundred I got good enough at this task that I could do each in 2 minutes. After I had a large list of people to contact, I wasn't sure what to say in my email, so I wrote a bunch of different versions and tested them. To get someone to agree to an unboxing, the most important thing turned out to be not asking for their shipping address up front. Instead first explain the service briefly, then ask if they are interested to do receive a sample for a video. If they say yes, only then ask for the shipping address. Asking for the address in the initial mail seemed to be off-putting and resulted in less people agreeing. I tested other things as well, but that was the most impactful finding. I guessed that around 10% would agree, but in the end 50 channels (28%) out of the 180 contacted agreed to make a video and gave me their shipping address. In the end I did not ship to everyone. 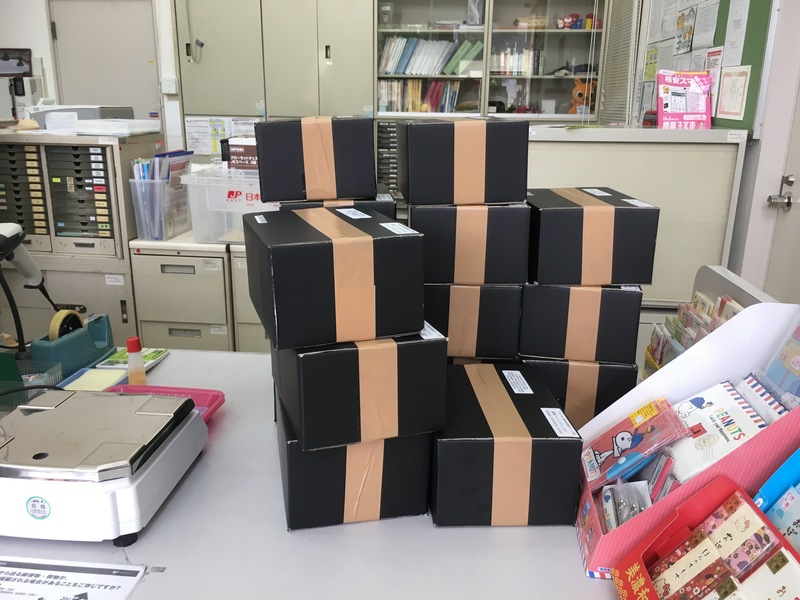 Some responded so slowly that I considered the whole experiment over by the time I received their shipping address, for others I made mistakes, such as noticing their Facebook messages too late. Not every box sent actually made it to the YouTuber. I also found that international package tracking often (24% of the time) does not actually work, so it was impossible to be sure exactly how many packages got delivered. I know for sure that 4 got returned back to me, and that at least 33 arrived. On average it took 2 weeks for an airmailed package to be delivered, ranging from 4 to 42 days. With the boxes delivered, I waited 2 months before tallying up how many people actually made a video. I also periodically nagged people to ask how their video was coming, and from the responses I felt this helped people to remember to do it. From getting the box, it took on average 20 days for a YouTuber to make a video. The fastest person made theirs in 1 day, slowest after 2 months. Since only a fourth of people actually made a video, to get one video made I need to send 2.5 boxes. That more than doubles the cost of goods and shipping, meaning that the results from these videos would have to be very good for this to be scalable. The entire process of finding YouTubers to contact, figuring out how to contact them, having back-and-forth discussions with each to discover their shipping address and answering any questions they had, preparing and shipping the boxes, nagging people to make the videos, and finally compiling the results was very time-consuming. Because of delays in messaging, shipping and making the video, this is also a process that dragged on for about 3 months before it finally felt "done". After videos had been out for about two months, I went to check their view counts. Each only averaged 166 views, for a grand total of 2826 views. This would have been OK if these small channels had such a devoted subscriber base that each would have resulted in a sale or two, but that did not happen. No noticeable change in traffic from YouTube, no uptick in sales, and no-one mentioned buying because of the channels (I ask everyone). The hardest evidence is that not a single new customer claimed any of the 10% off coupons I gave to the YouTubers. Buying all of the goods and shipping all the packages cost about $1000 in total. Buying the same number of YouTube ad views would have cost less than $10. On a CPM basis this was actually ten times more expensive than advertising on prime-time TV. Considering the results, I am becoming pretty reluctant to send out free samples for unboxing videos. I would love to be proven wrong though, so if you run a decent sized channel that you believe could be a good match, do drop me a line. If you'd like to try some Japanese candy for yourself, you can sign up here.